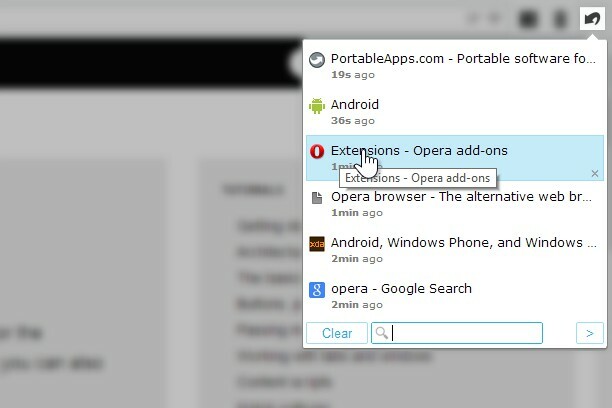 The functionality of this extension comes with default Opera installation - apart time of when the tab was closed. Sure this extension still presents a case - but it's sort of trivial should users use double-features (just because they can) OR could Opera devs enhance built in functionality with such as the time detail. What tankietopera1907 said is not valid (at least for Opera 33). So this extension is very useful. Fantastic, works perfectly and such a useful extension! Well, it's not your fault that now we need add-ons to have features that were standard in Opera 12. 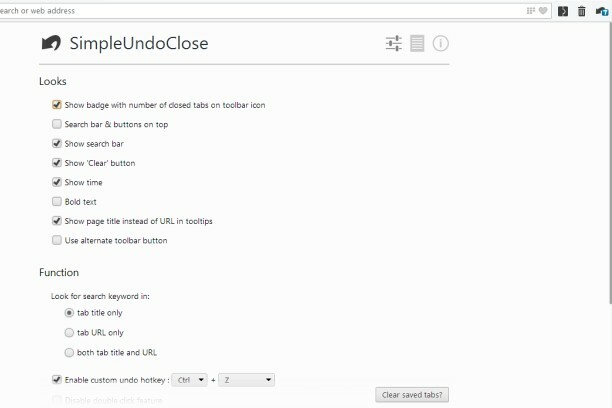 The problem with this add-on is, that if you restore a tab, it just restores the URL not the history of the tab like Opera 12 did. A must for those missing the old Opera (12).